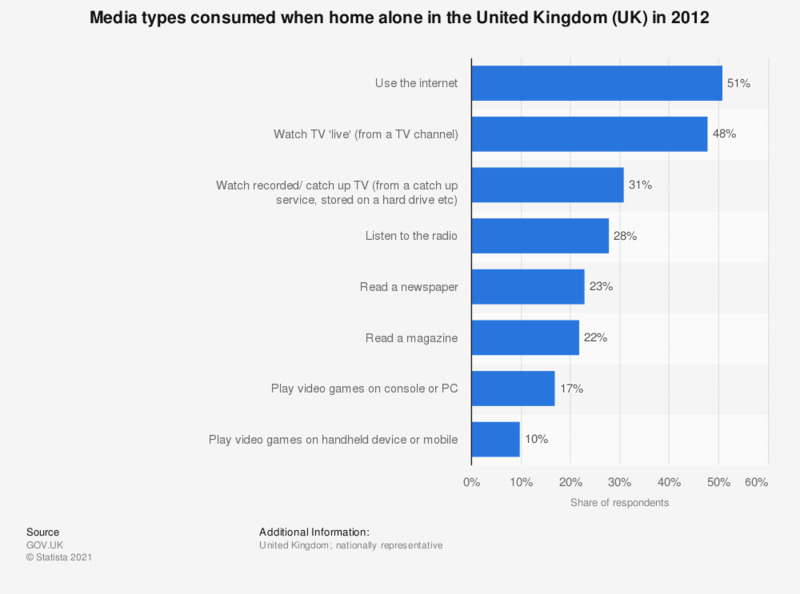 This statistic displays the results of a survey of individuals in the United Kingdom (UK) in 2012, regarding media consumption when home alone. Over half of the respondents reported using the internet when home alone. Playing video games was least common among the various media types. * The source did not provide information regarding the exact survey question.